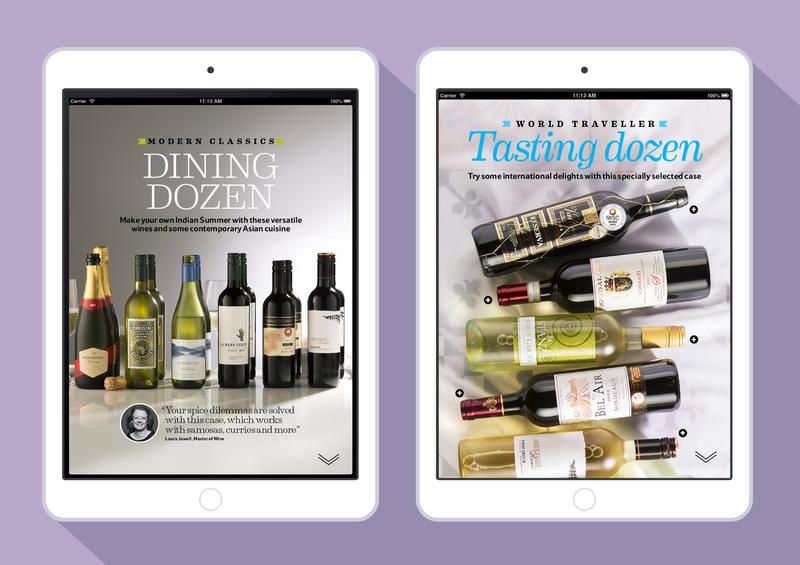 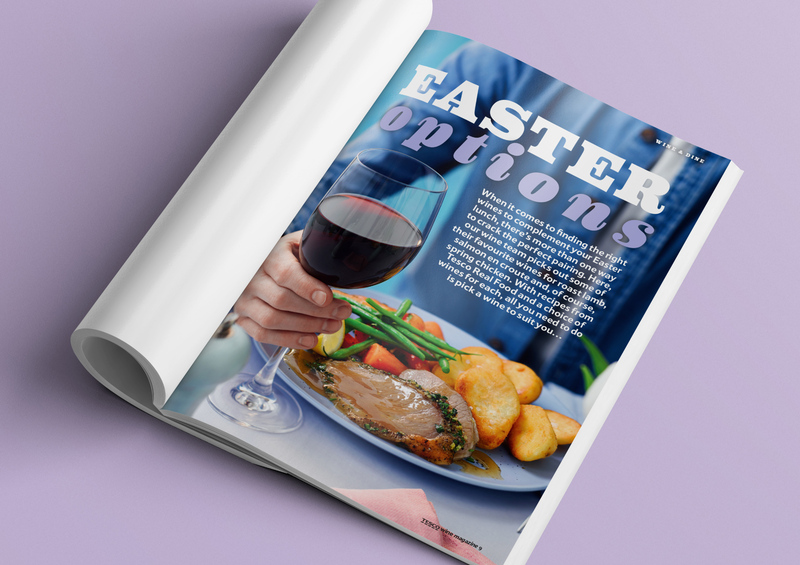 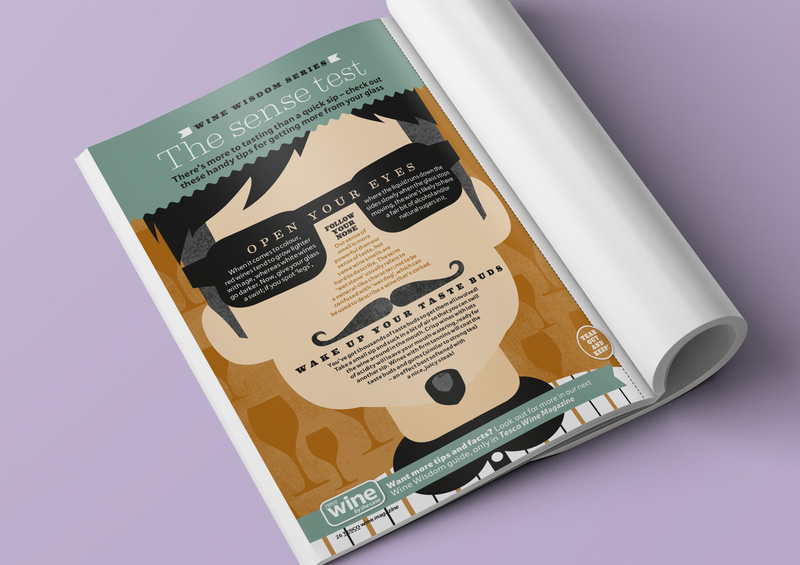 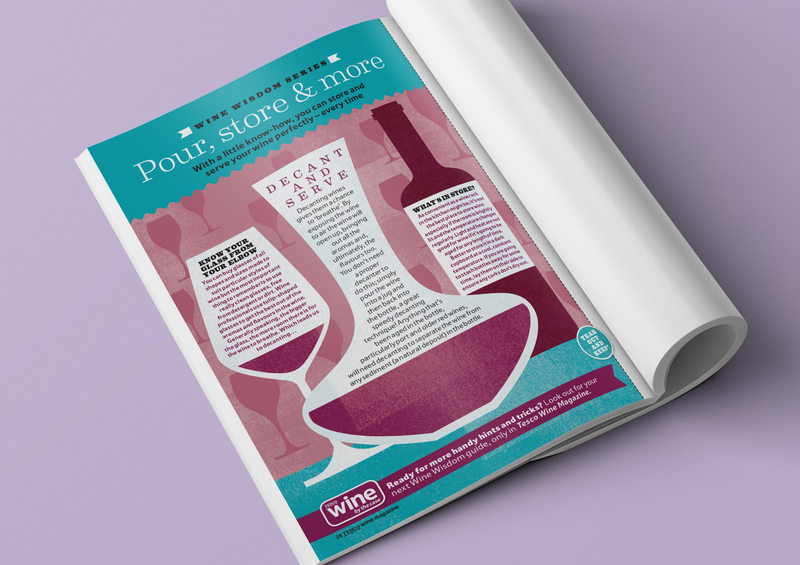 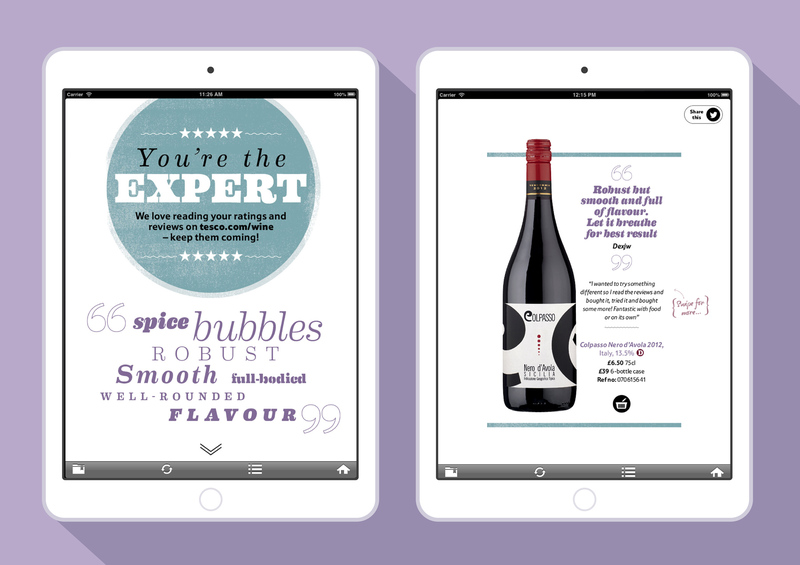 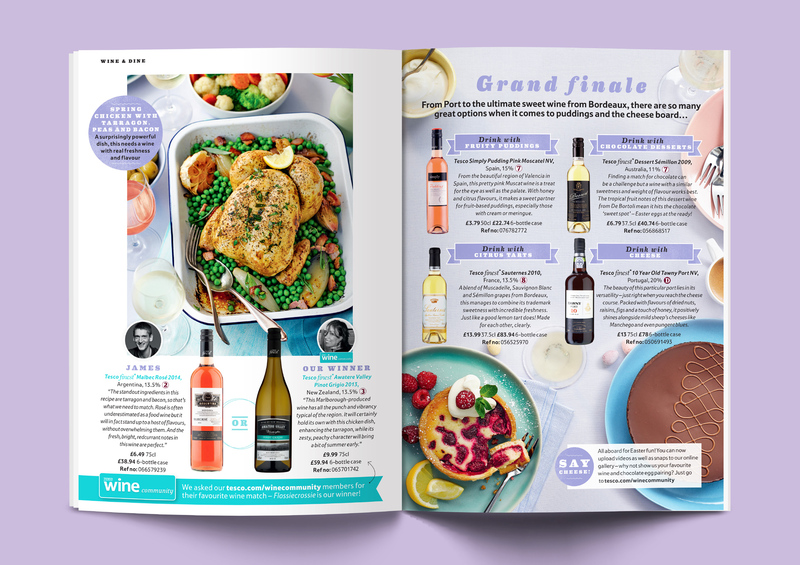 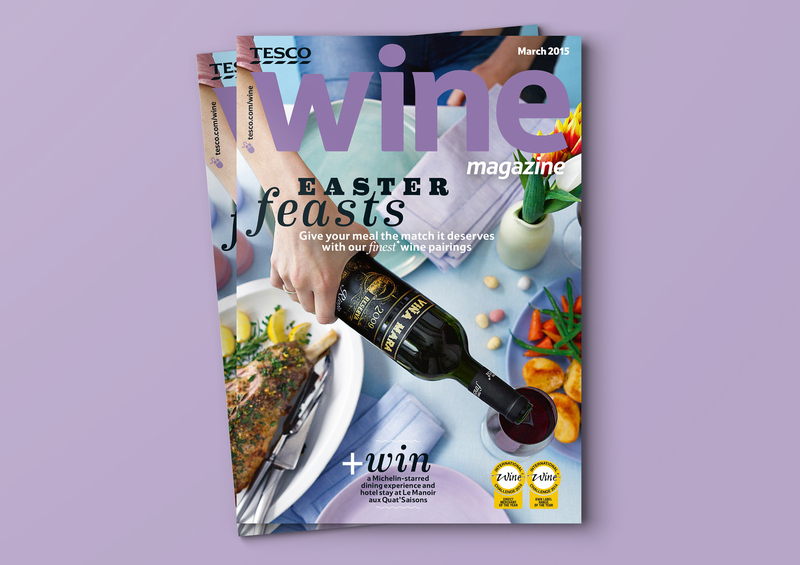 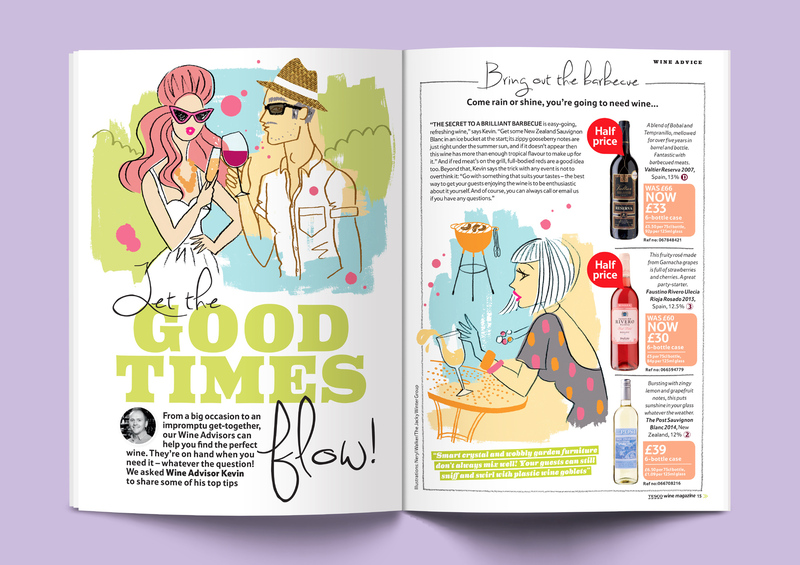 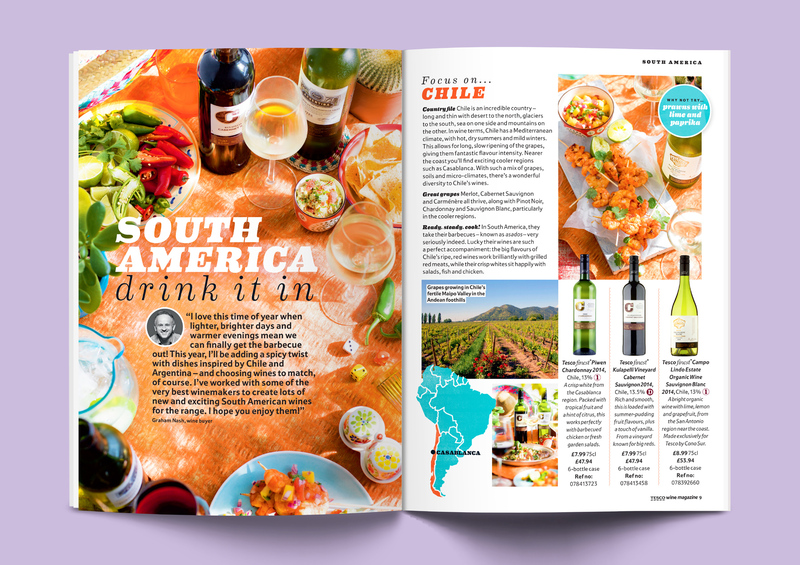 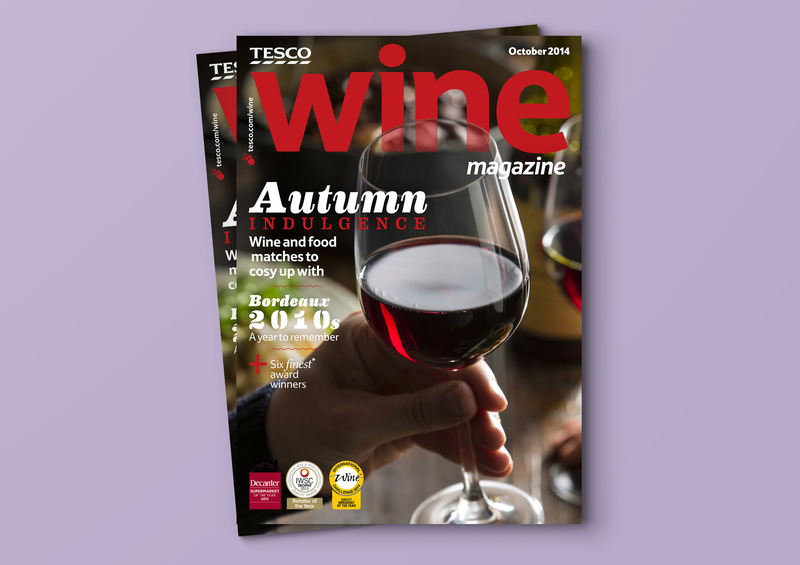 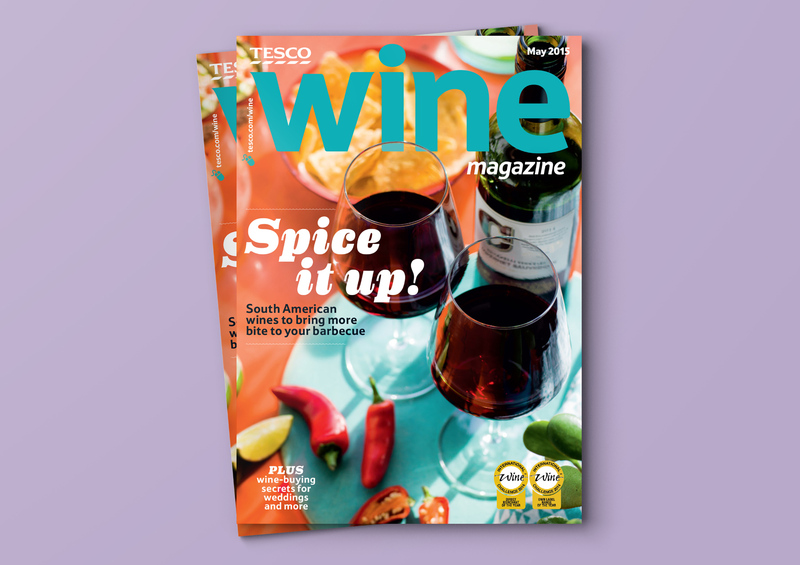 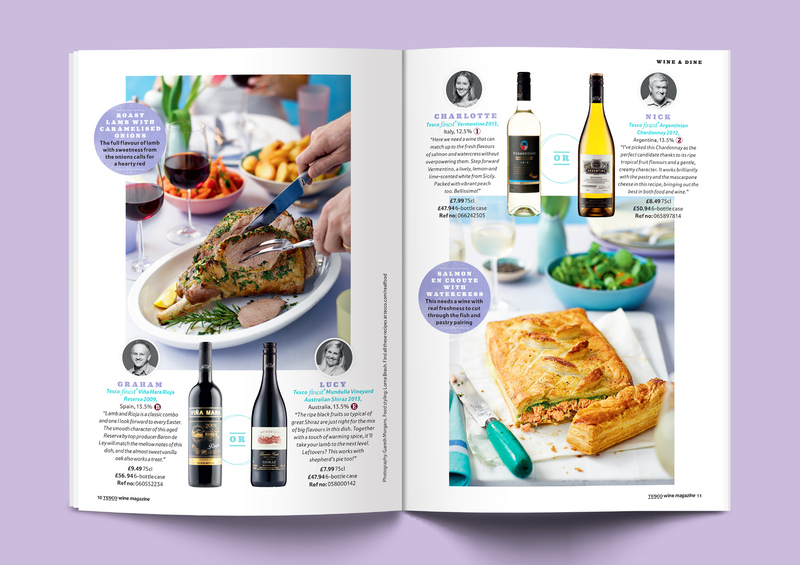 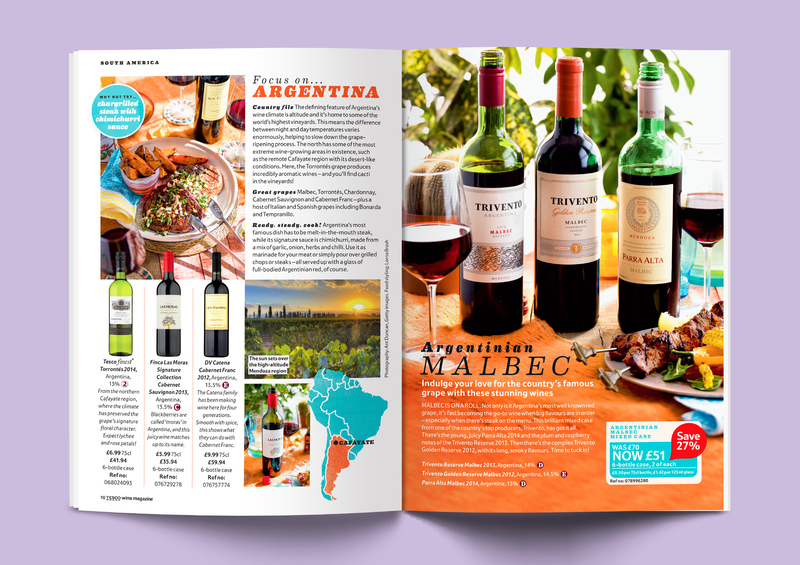 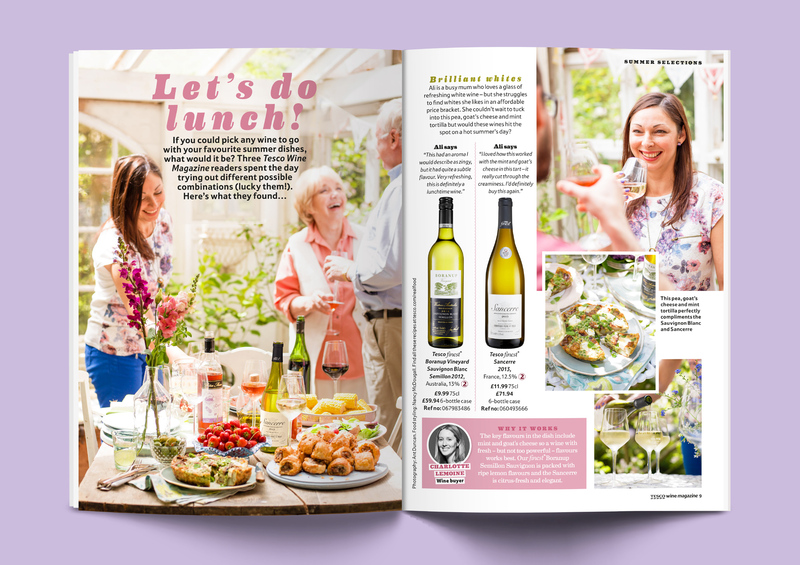 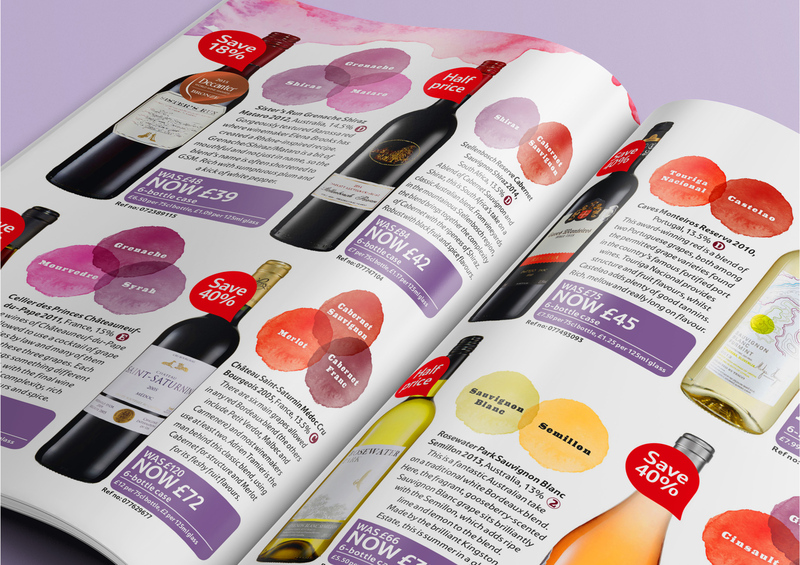 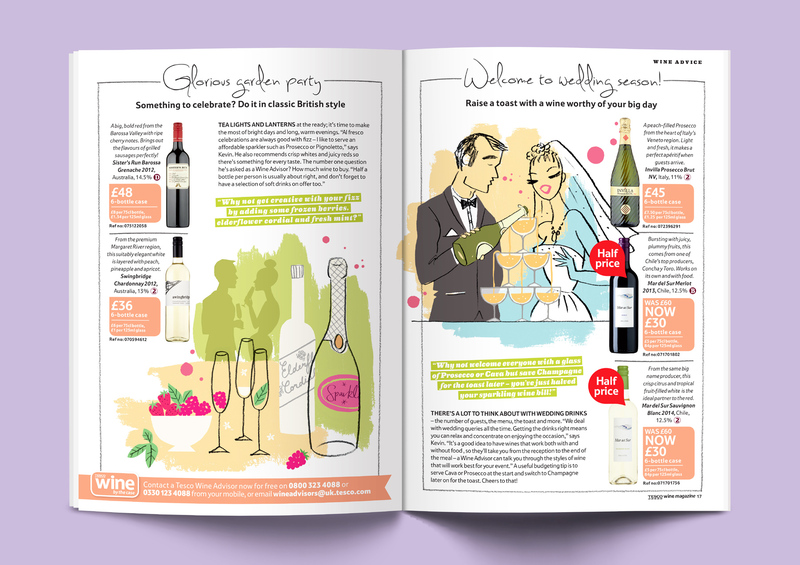 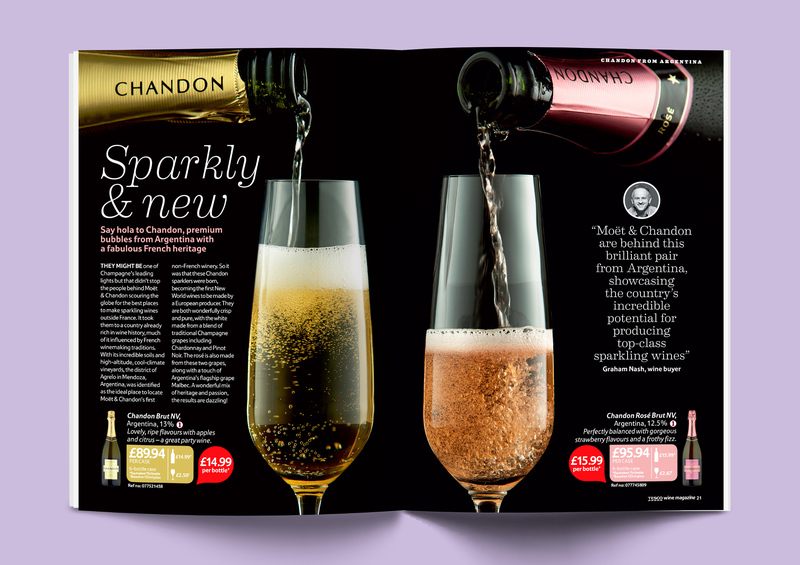 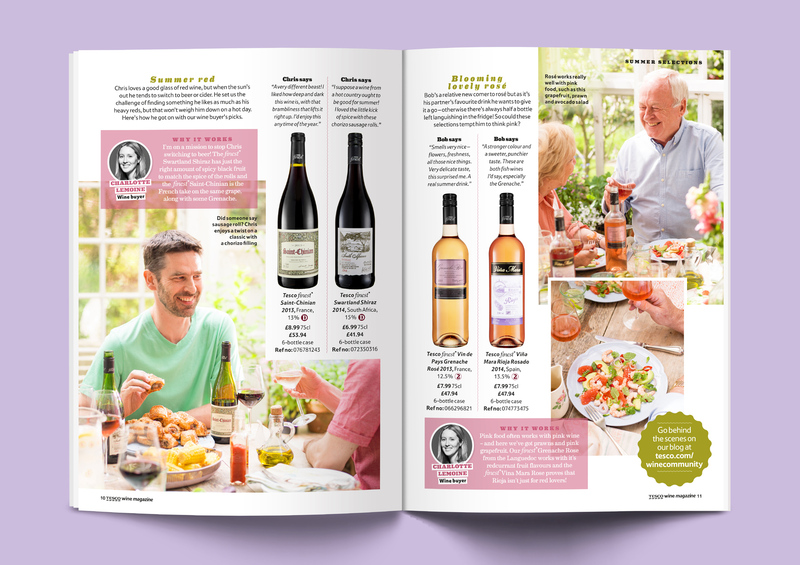 Tasked with modernising the creative direction of Tesco Wine magazine, I was able to introduce a new roster of photographers, stylists and illustrators to the title. 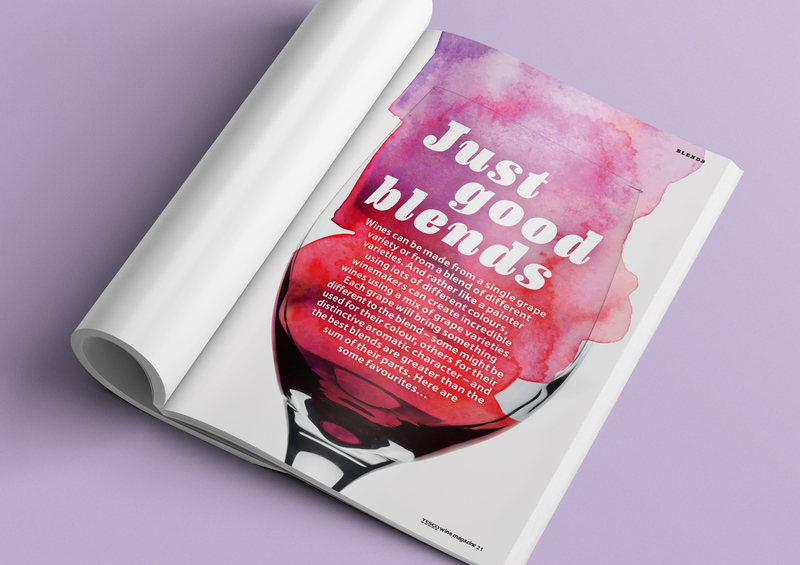 The strategy was three-fold: focus on storytelling through real people, food and growers; increase the amount of illustration to vary tone and pace; declutter the magazine while still conveying all the client objectives. 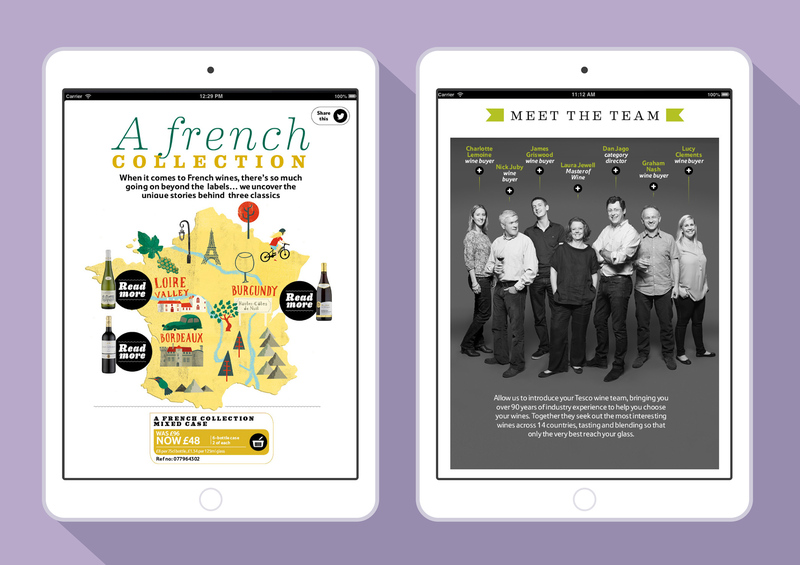 A tablet version of the magazine was also introduced.